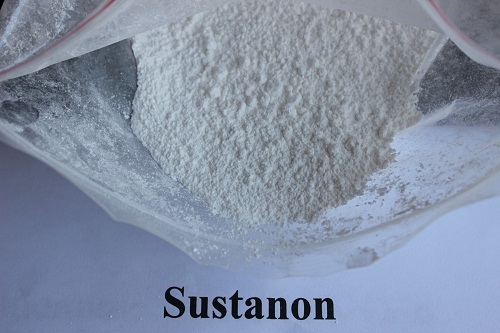 Sustanon is mixed with testosterone. Main ingredients: Testosterone Propionate, Testosterone Phenylpropionate, Testosterone isocaproate, Testosterone Decanoate. 1、One kind is 250 grams pulvis: Testosterone Propionate 30 grams, Testosterone Phenylpropionate 60 grams,Testosterone isocaproate 60 grams,Testosterone Decanoate 100 grams. 2、Another kind is 250 mg injection: Testosterone Propionate 30 mg; Testosterone Phenylpropionate 60 mg; Testosterone isocaproate 60 mg and Testosterone Decanoate 100 mg. It is a new type of hormonal premix drugs, it is different pharmacological effects of the time a mixture. Offsetting the drugs work by time, make the drugs can faster and more lasting effect.